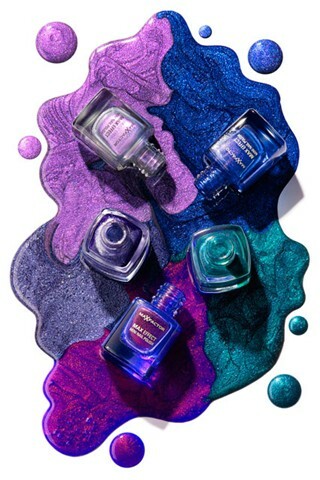 Max Factor have a new nail colour range for Spring 2012. Metallics are definitely in for the spring season and the range hosts 5 different shades of metallics all priced for £3.99 each. I would have expected a little bit more of a springy feel to the colour selection, the colours are rather on the 'midnight' side and personally I am definitely one for the bright, fresh yellows, oranges and pinks for the upcoming S/S season. If I were to purchase this collection, I would definitely reserve it for A/W! (clockwise from top left) Moon Dust, Odyssey Blue, Graffiti, Meteorite and Fantasy Fire. The collection is available at your local Boots store. I will definitely be checking this collection out. I understand what you mean about the colours now been very spring. I also love the bright summer colours best. Last spring I wrote my lab report. So it was really difficult for me to pay attention on fashion at that time.